During July we had a wonderful time training law enforcement in Rolling Surveillance techniques hosted by the Tulare County, CA District Attorney’s Office. Tulare County’s DA, Tim Ward, welcoming the students to Rolling Surveillance Training. Thank you to the Tulare County District Attorney — Tim Ward, Chief of Investigations — Lindy Gligorijevic, and Supervising Investigator and Training Manager — Kurt McPhetridge for making this class come together. Once again, we met a lot of amazing law enforcement officers from various agencies throughout the state. Tim teaching Rolling Surveillance at the Denver DEA office. Once again in May, we had an amazing month in Denver with the wonderful law enforcement from not only the state of Colorado, but some other states joined us as well. Tim Lewis teaching Rolling Surveillance in Broomfield, CO Police Department. 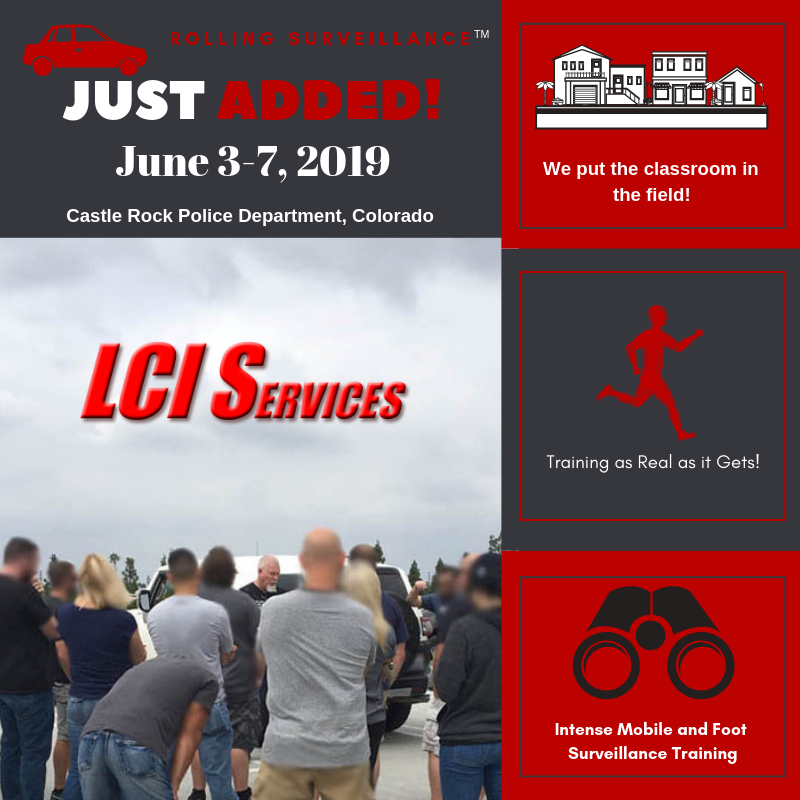 A huge thank you to CATI (Colorado Auto Theft Investigators) and Denver DEA for bringing us out in the month of May for classes. CATI also sponsored me as a guest speaker at the 2017 Rocky Mountain Vehicle Crimes Seminar. Thank you also to Broomfield, PD and Arapahoe County Sheriff’s Office for hosting us at their facilities. We met a lot of great people in law enforcement and reconnected with dear friends from the years past. The 2017 Rocky Mountain Vehicle Crimes Seminar was held in Breckenridge, CO, which was a breathtaking experience and our first time to visit this lovely village at 9,600+ feet elevation.